Today is Day 4 of The 7 Day Challenge, it has been good so far. I am not missing my grains any more, I have become paranoid about going grain free and am eating better in both quality and quantity. The problem is both me & D are true foodies and cannot live on just salad & soup even if it only for a week so we both have to do a lot of work every day cooking interesting stuff and prepping. Only if I was able to transmogrify into a bovine creature chomping greens in a spring meadow, life would be easier. Now to The All Purpose Masala Paste which is an efficient homemade packaged solution for busy moms. If I had any business acumen I would market it and put it on not Patel's but Whole Food's Freezer aisle. But before that I would have to pay hefty royalty fees to Vee and then Coffee, the original creators of this idea. This masala saves me on most weekdays and if you are not already making it, I urge you to refrain and wait till my product is out there. I promise I will have a fun, family ad out with it too with a jingle that says "Taste mein Best, Mummy aur Mummy Ka Paste"
Fry till the onion is soft and translucent. Toss in the tomatoes and saute till tomatoes turn soft and mushy. At this point you can get imaginative and add some generic spice powders if you wish, like say Garam Masala or maybe Kasoori Methi. I usually skip this step. Cool the above and make a paste in your food processor, make a smooth paste not one of those chunky ones. On a busy week night when all you want to do is just pull a blanket over your head, take some of this cubes out and make a quick gravy in minutes. I made a Fish on Day 3 of the challenge using this paste. I had some Tilapia Fillet which I marinated with this paste (I made with Kasoori methi added this time), salt and some red chilli powder for 24 hours. However 30 mins to an hour should be enough. I usually bake this fish drizzled with Olive Oil but then I saw this recipe at Shilpa's and wanted to try this instead. So for 30 mins before cooking I marinated the already marinated fish with some more garlic paste, red chilli powder and lime juice. For one of the fillets I added tamarind paste instead of Lime Juice. However I am a Bong who always fries her fish except for maybe Ilish(Hilsa) so I was not sure how just poaching the fish would taste like. I therefore smeared my frying pan with a little olive oil, maybe 1/2 tsp. Added some curry leaves to it and then placed the fish fillet on the pan. Slowly added enough water so that the fish were just submerged in water. Let it cook till all the water has evaporated. The fish tasted definitely good but I feel this method is best if the fish was more fresh. We had it with some salad and oven baked masala potato fries. Anything with the tag all-purpose gets my attention immediately! This is surely a helpful recipe! freezing the paste sounds like a very good idea. Anything with seafood involved gets my interest.Good Luck with your challenge. The all purpose masala paste seems an interesting one and ofcourse a great time saver :) thanks for the tip on freezing it. Hmm..the fish fry my my shilpa's version is damn good thanks for the link :) liked ur version too. I like seafood in any form even plainly steamed! The masala sounds handy! R u allowed to eat potato? interesting! Yeah mee to hooked to Shilpa's poaching fish. Ned to wait to try this over the weekend where we can get fresh fish in the corner-of-the-street fish market. This plate looks inviting and the masala is interesting. Your gingle is so very nice! I am eager to hear how the fast goes. Any plans of doing this on a regular basis, like a day in a week kind of thing. I do the same for gravy most of time but do not make in bulk to store. This is a great idea, saves a lot of time. I saute onion first and then g and g paste and then Tomato and masala. All purpose malasa sounds great. I usually do prep work with my tamarind paste and veggies. I use very lil masala in my cooking will try this time. who is reading calvin and hobbes? it is tough to just eat salads and soups. i remember this puree in cubes from coffee's ol post and i do use it. it is a genuine time saver. I never make paste like this.. like pre frying & then making a paste. Have to try this way.. aajkal shudhu pyaj bhejei.. jhol/jhal kore di:-) got really lazy. I can live on salad, not soup. And it's too hot here to even think of soup, unless we're sitting in one of those permanently cold restaurants and the only thing you can think of is soup. No potatoes :D acc ot the original post! Kudos to your commitment to sticking to the 7 day plan.. keep it up! I also have been making and freezing this paste I saw from Vee or Coffe's blog many many month (or years?) ago. The fish recipe looks awesome - I end up using the paste mainly for veg dishes. WIll certainly try your fish sometime if I get fresh fish. this sounds like a tough challenge Sandeepa and you are doing really well. Can't wait to read your review on Day 7. I just started doing this 2 weeks back because I now have the li'l one's tiffin box as an addition to our lunch boxes plus getting her ready an hour earlier than before. 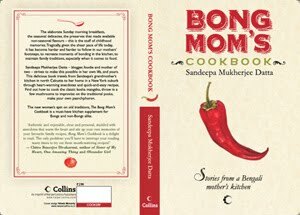 so less time in the morning and hence the 'ready to go" bhuna masala. Using it with fish must have been great! 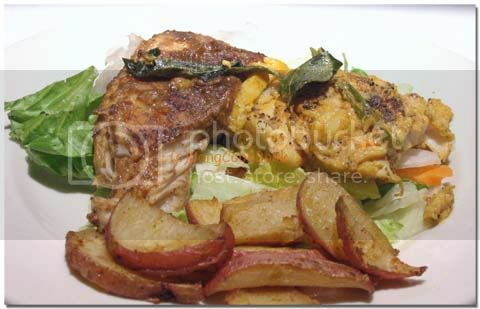 fish looks yum,..andthe all purpose masala paste is always handy,.. I raised the topic, 'coz am a bit skeptical.Though Maggi claims no MSG in noodles(http://www.nestle.in/pdf/maggi_mail_statement.pdf), their Tastemaker does have that. The ingredients clearly say Monosodium Glutamate. I think they should be more transparent about it. That said I like Maggi and it is often our Fri dinner. I try to use only a quarter of the tastemaker though and add my own seasonings. I love spicy food and the all dishes in which use some spicy masla and this masla paste looks so spicy. Masalas are used extensively in Indian cooking to add spice and flavour and lose quality when not fresh. You made some thoughtful points in this post. I looked on d internet for this and found most people will consent with your perspective. This is one of the most incredible blogs I've read in a very long time. The amount of information in here is stunning, like you practically wrote the book on the subject. Your blog is great for anyone who wants to understand this subject more. Great stuff; please keep it up! 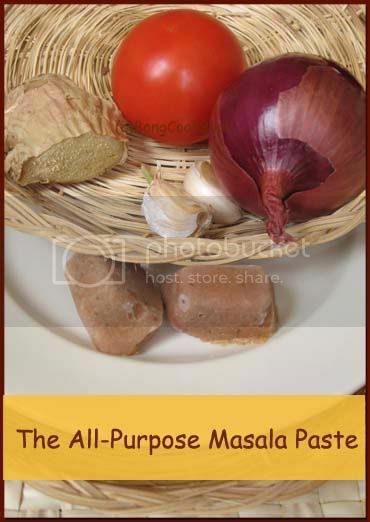 The all purpose masala paste seems an interesting one and of course a great. I use masala in my cooking will try this time. Nice post. It was very interesting and meaningful. Very useful, thanks for sharing keep on going another one. Thanks for the info! Very help full for someone like me. Keep up the fantastic work, I read few articles on this web site and I believe that your web blog is really interesting and holds sets of fantastic info. Masalas are used extensively in Indian cuisine to add spice and flavour, and lose quality when not fresh. Masala paste blends authentic spices with lemon and coriander to create a simply tantalising version of Britain's most popular curry. There is a ready masala paste which can be freezed & stored for a week. You have so much knowledge about this issue. Its so cool, so full of information. Please keep it up. Just imagine I read it twice. While I am not as proficient on this subject, I harmonize with your determinations because they create sense. Gives Thanks and Goodluck to you. Thanks for taking time for sharing this article, it was excellent and very informative. It’s my first time that I visit here. Hello. I had really liked reading this site it was very good. The content of this blog was very nice. Thanks for sharing! At 13LIMO, we provide Limousine services in Sydney and great brisbane limo hire , as well as a specialised service for an airport limo in Sydney. For limousine hire, we provide reliable and discreet service with convenient 24/7 booking access. If you are looking for a local Locks specialist to help you with your Locks at an affordable price, give At Call Locksmith – click here locksmith Sydney a call today. This is much more than just a promise; the high standard of professionalism and service you'll receive is our guarantee! We welcome you as a new valued customer of ours, by making us your local click here 24 hour plumber sydney. Great Melbourne airport car hire is located in the suburb of Tullarmarine. Both the International and Domestic terminals are very busy places with flights coming from all over the country and world. If you are budget conscious and looking for a certified great carpet cleaning Sydney who is reliable, professional and offers the highest quality service, you've come to the right place. We also specialise in end of lease / move out carpet cleaning to give you the best chance of getting your bond back. Sydney Plumbers can save you money with plumbing systems that can be very sensitive. Hiring a professional great 24 hour plumber sydney to deal with your Hot Water system is the right choice. At Great Melbourne airport car hire, we work with biggest hire brands to provide you with exclusive hire deals and discounts. Our great Sydney limo hireand Wedding car hire Coordinators will create a stretch limousine travel experience to suit your individual style and budget. 13LIMO are your premiere service for cool brisbane limo hire. We have a fleet of vehicles that provide a service if you are looking for an airport limo in Brisbane. I really like this website , and hope you will write more,thanks a lot for your information.